Bundeskongress Bundesverband Managed Care "Innovatives Krankenhausmanagement - Zuweisermanagement"
"Cram-plot analysis for quality assessment - experience with 17592 patients"
"Preoperative CRP-elevation is a risk factor for perioperative mortality"
"Coronary Artery Surgery - now and in the next decade"
"Aktuelle Therapie der koronaren Herzerkrankung, Grenzindikation der Herzchirurgie Qualitätsanalyse der modernen Herzchirurgie"
"Satellitensymposium / Stentless in the young: Thinking ahead"
"Herzchirurgie zwischen Medizin, Ethik und Kommerz / Wie geht der Chirurg damit um?" "Short and long-term results of mitral valve repair in octogenarians"
"Interventional care of rare thoracic aortic aneurysm through a retroperitoneal approach"
"The use of bilateral internal mammary arteries in the revascularization of high risk patients"
"Möglichkeiten der Revaskularisierung bei Problemwunden/chronische Wunden"
"Chirurgische Therapie der koronaren Herzerkrankung und perioperative Antikoagulation"
"Presentation of the previous Minutes of the Meeting (11 March 2011) ofthe RH ICT Society"
"Long term results of mitral valve repair in Octogenarians"
Impact of female gender on shortand long-term mortality after aortic valve replacement. Is the increased risk avoidable? Concomitant surgery of the aortic root and ascending aorta: mechanical or stentless biological protheses? Ausbildungsprogramm Herzchirurgie - nicht "ärztliche Assistenzberufe in der Chirurgie"
L. Vöhringer, U. Rosendahl, A. Albert, J. Ennker 3-years follow up after radiofrequency ablation. Coronary artery bypass grafting? Is gender really an issue? Does surgical esperience in acute ascending aortic dissection influence patient outcome? The use of argatroban in patients with heparin induced thrombocytopenia type II and acute postoperative renal failure? Is it safe? 74. 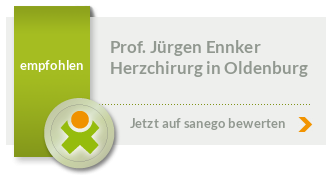 Jahrestagung der deutschen Gesellschaft für Kardiologie -Herz- u.
Coronary artery bypass grafting (CABG) for octogenarians: Is it safe and efficient? 19th Annual Meeting of the European Association for Cardio-thoracic Surgery and the 13th Annual Meeting of the European Society of Thoracic Surgeons, Barcelona, Spain, September 25-28, 2005. The Freestyle valve in the ninth decade of life: Increased risk for adverse perioperative outcome? Body Mass Index - A Risk Factor For 30-day Or 6-month Mortality In Patients Undergoing Aortic Valve Replacement? "Up to what extent can a prolonged ventilatory support beyond the DRG important 96 hours-limit be predicted reliably by illness severity alone?" Lauruschkat A.H., Arnrich B., Albert, A., Walter J., Amann B., Rosendahl U., Alexander T., Ennker J. Application of a collagen-type protein adhesive for experimental lung glueing. in patients with coronary artery disease - a prospective study. Übergewicht - eine noch aktuelle Kontraindikation zur Koronarrevaskularisation? Ist der Parsonnet-Risiko-Score noch aktuell? Aortenklappenersatz mit der "freestyle" Prothese: Chirurgische Erfahrungen. Myokardrevaskularisation mit arteriellen Grafts in der neunten Lebensdekade? Zum Mißverhältnis von Ärzten und Ärztinnen in der Chirurgie. Troponin I (CTnI) als Marker myokardprotektiver Maßnahmen im Rahmen herzchirurgischer Eingriffe. Development of an algorithm for quality improvement. Workshop "Informationsmanagement in der Herzchirurgie 2000"
5. Jenaer Anästhesiologisches Symposium, Jena, 04. - 06. Dezember 1997. Abstractband. facts and myths of Minimally Invasive Cardiac Surgery. Satellite Symposium to STS, New Orleans, 24.01.1998, Abstractband. Intensivmedizinisches Management und postoperativer Verlauf nach ACVB von Patienten mit KHK und linksventrikulärer Ejektionsfraktion 10 - 30 %. Applicability of cardiac troponin I for risk stratification in elective coronary artery bypass surgery. European Heart Congress, Wien, 1998. Bedeutung der "valvular resistance" bei Patienten mit symptomatischer Aortenklappenstenose. vom 8. bis 10. April 1999, Mannheim. Mechanical heart valve replacement and antikoagulation: Where is the optimum between INR variability and INR observation frequency? J. Ennker, K. Bauer, U. Rosendahl, A. Albert, I.C. Ennker, Bauer S.
Off-Pump coronary artery bypass grafting in patients over 75 years of age. Benefit or mystery? Obesity - Still a Current Contra-Indication for Aortocoronary Bypass Surgery? Follow-up nach arterieller Myokardrevaskularisation in der neunten Lebensdekade. 21. Herbsttagung der Deutschen Gesellschaft für Kardiologie - Herz- und Kreislaufforschung vom 09.-11. Oktober 1997 in München. Semantic Computing: A new method to analyse multidimensional data. Applied for risk analysis for perioperative stroke. Analyse des perioperativen Schlaganfall mittels "semantic computing"
Zeitschrift für Kardiologie, Suppl. 5, 1998:91. 4. Tagung für Herzchirurgie 8. bis 12. Dezember 1998, Moskau. Gesundheitsministerium der Sovjet Union, Russische Akademie für Medizin, Gesellschaft für Herz- und Gefäßchirurgie, 1998:61. The Thoracic and Cardiovascular Surgeon, Suppl 1, 1999:221. Myokardrevaskularisation in der neunten Lebensdekade. Verbesserung der Lebensqualität und Lebenserwartung? Erfahrungen mit der Arteria radialis in der koronaren Bypasschirurgie. Erste Ergebnisse bei 162 Patienten. Ist die Implantation gerüstloser Aortenprothesen simultan mit einer Koronarrevaskularisation sicher durchführbar? Jahrestagung der Deutschen Gesellschaft für Kardiologie- Herz- und Kreislaufforschung vom 8. bis 10. April 1999, Mannheim. "Semantic computing" eine neue Methode der Analyse komplexer Daten. Angewandt auf Risikostratifizierung des perioperativen Insultes. Patients with low body mass index - a high risk group in cardiac surgery? Determinants of stroke pattern in adult cardiac surgery. Is there any influence of the type of aortic end-hole cannula? Do patients over the age of 75 benefit from Off-pump coronary artery surgery? Der EuroSCORE - eine Entscheidungshilfe bei der Indikationsstellung herzchirurgischer Eingriffe? Ist das Alter eine unabhängige Determinante der Letalität in der chirurgischen Myokardrevaskularisation? Postoperative Evaluation of Radial Artery Grafts for Coronary Artery Bypass Grafting by Transit Time-Doppler Flow Measurements. A Comparative Study between Arterial and Venous Grafts. Off Pump Coronary Bypass Grafting: does it Reduce Perioperative Morbidity Compared with Conventional CABG? Does off-pump coronary artery bypass grafting lead to better results in selected patients? Is it sensible to replace the serum creatinine in the euroscore by the creatinine clearance calculated by the cockcroft formula? 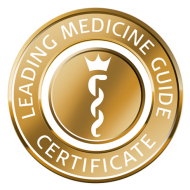 Topical negaive pressure treatment for deep sternal wound infections: standard treatment for the future?